After a long hiatus due to conflicts with the publications of Dragonwatch and this book, the final book in the Five Kingdoms series by Brandon Mull is finally coming to an end. From the beginning we already know that this is a five-book series, despite the typo that the author made on his note at the very first book in the series. Five Kingdoms, all encompassed in five books, will conclude with Time Jumpers. I bet this will play a great part on how Cole and his friends will ever get back to our dimension (or if they ever wanted to at the end of the story). The cover has just been released as well as a teasing synopsis. 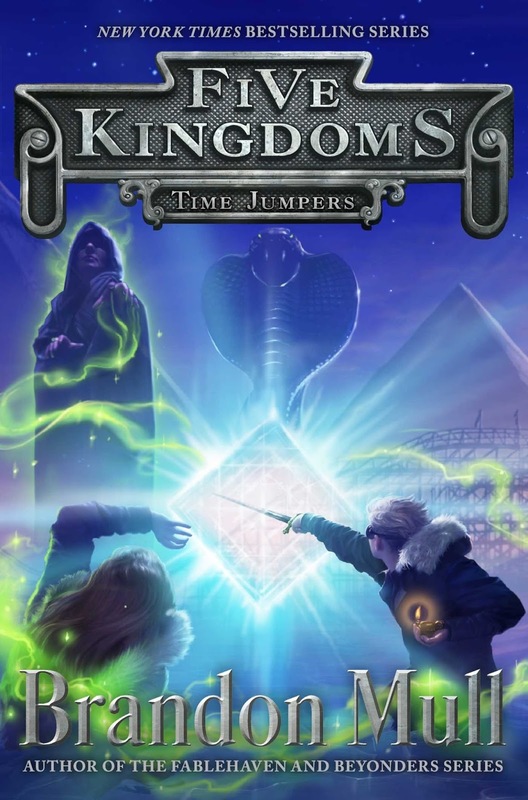 Check out the cover of Time Jumpers (Five Kingdoms # 5) by Brandon Mull. Time Jumpers by Brandon Mull will be released on October 24, 2017.